During retreat we provide a space for stillness. Guests are encouraged to go at their own pace and all activities are optional. For many, time spent in a hammock overlooking the Aquicuana Lake is effective medicine. Guests may also choose to explore the Reserve and participate in additional activities including mind-body practices led by our volunteer resources. Some of these activities are scheduled, others can be arranged when requested. By limiting the number of retreat participants, we can often accommodate individual preferences and requests. Additional activities include: nature hikes, canoe rides, fishing, bird watching, yoga and guided meditation. Pisatahua provides optional yoga and guided meditation instruction to all guests regardless of experience, fitness-level, or age. Our instructors vary and so do their practices; however, we generally emphasize slow and gentle yoga focused on long-stretching and deep-breathing. 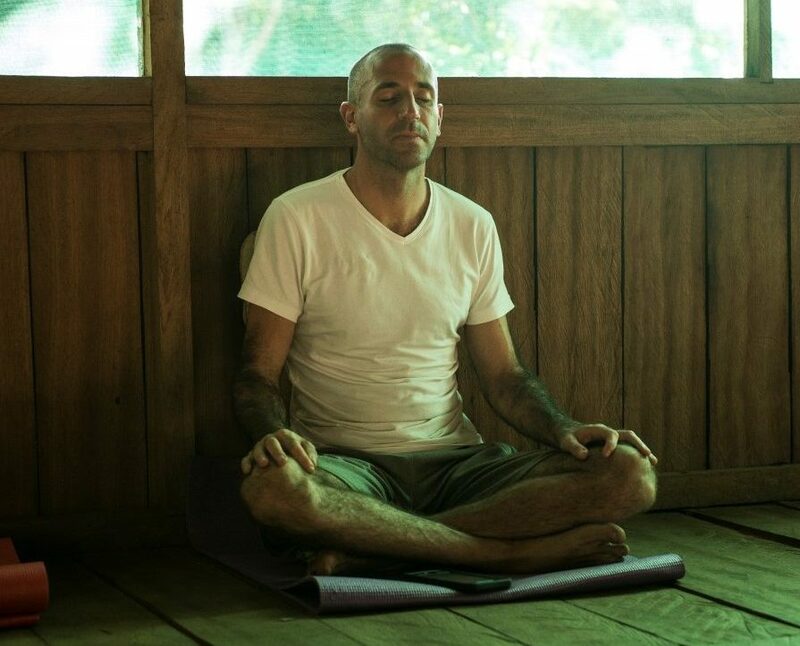 The mind-body-breath unification achieved through yoga and meditation is incredibly helpful during ayahuasca ceremonies. Both are excellent techniques to help relax the body, quiet the mind, and open the heart. Depending on our staff's skill-sets, we may provide addition instruction in complimentary healing modalities such as holotropic breathing, Reike, massage, Tai Chi and Qigong. Such practices are skillful complements to working with plant medicines. We are always looking for volunteer resources trained in different healing modalities to support our guests and further our holistic approach. Prospective guests should contact us if interested in learning exactly what practices we will focus on for a specific retreat. Participants can also use our mats anytime they wish for their personal practice sessions. Guests are also welcome to explore the shores of the Aquicuana Lake in one of our canoes. We prefer to take guests out in the early morning when the sun is weak and the birds are active. Immersed in the sounds of the jungle, you’ll have the opportunity to observe parrots, toucans, monkeys, anacondas, turtles, and caimans. Canoe rides typically range anywhere from 30 minutes to 2 hours. For those interested in helping us catch dinner, we have few of fishing poles available. Some of the most commonly caught fish are pacu (Colossoma macropomum) and dorado (Brachyplatystoma rousseauxii). While minimizing our ecological footprint, we’ve developed trails to access key areas of the 80-hectare property. Guests are invited to explore whenever they choose. These trails lead you through the forest to giant mapajo and oje trees, natural water springs and fruit forests. We also maintain a trail through the old-growth rainforest on the other side of the Aquicuana Lake. This is a biodiverse area with lots of wildlife. We’ve spotted monkey’s, snakes, wild pigs, tapirs, deers, and even jaguars. Guests are encouraged to assist us in our reforestation and community development efforts. All retreat participants are provided baby fruiting trees, chacruna and ayahuasca vines to plant during their stay with us. Guests can also learn more about our non-profit projects in the reserve and surrounding communities. Its not uncommon for participants to extend their stays as volunteer resources to support our development and conservation efforts.